Discussion in 'Suggestions' started by Vqzo, Jan 3, 2019. Hello everyone. I suggest to lower the minimun vote rank for minerware. Since there are a lot of players without emerald rank or higher. I think it would be better to set the minimum vote rank for minerware to gold or diamond. This also will attract more players without high ranks and make it more populair. Minerware is not really a game where you have to tryhard much. There are a lot of other microgames in besides pvp. So a lot of people who are not very good at pvp can play it too, and not a lot of people with bad pvp skills have a higher than emerald (or emerald). So players without high ranks want to vote too. I hope you're still following me . I think this will improve the game. komododragon2002, ComeAndGetMe_, EnricoLeydekkers and 3 others like this. I think the minerware vote for emerald rank is important for its commercial appeal. I wouldn’t lower it, diamond and gold ranks already have enough perks. Nikoshka, Falliam, abfc2000 and 11 others like this. Falliam, Fail, yosefgamer11 and 5 others like this. Fail, Shallidor, Chitter and 1 other person like this. xx_360noscope101, Juskebat, Azalea Blödhgarm and 1 other person like this. lets keep it in its current state, emerald and obi can vote and diamond can't do anything. Not a bad idea, this could be fun! It’s fine as it is, no need to change it. Obsidian has his 'Tower Defence' thingy though. I guess that's all. 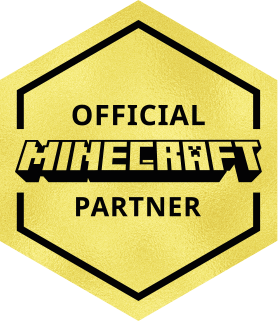 I think thay need to lower it to gold or maybe lapiz because than cubecraft can earn maybe a little mor money because they don't need to pay very much for a vote. All the perks are pretty balanced, maybe obby rank is an exception, because it isn't really worth it to rankup from Emerald. The only thing you can do is craft cubelets with 4 cubelets instead of 5. I also have only 1 win effect more. This is so the differences between ranks is more balaced.